Oriental Land Company revealed the theme for the eighth port in development at Tokyo DisneySea Park will be Scandinavia with a portion of the area themed to the Disney film “Frozen”. Additionally, “Beauty and the Beast” and “Alice in Wonderland” will be the themes for two new areas in development in Fantasyland at Tokyo Disneyland Park. These new enhancements are part of the resort’s 10-year, 500 billion yen expansion plan that we shared last year. As part of the plan, Tokyo Disneyland Park centers on the redevelopment of Fantasyland, which will nearly double the size of the themed land. 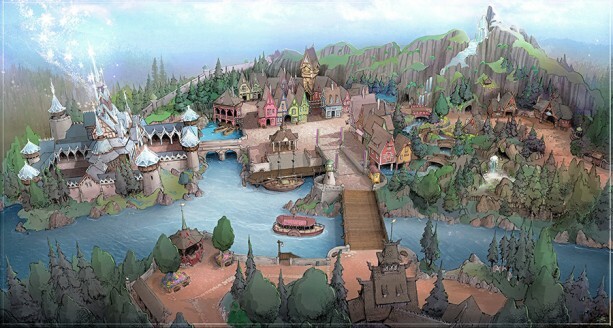 For Tokyo DisneySea Park, the new eighth themed port will be developed in the expansion site located south of Lost River Delta. This new development is a result of the shared vision and strong partnership between Walt Disney Parks and Resorts and Oriental Land Company that has been cultivated over the last few years to chart a course for the resort’s future. This collaboration has led to the creation of exciting new attractions, entertainment and dining experiences, helping to make Tokyo Disney Resort one of Japan’s most popular tourist destinations. We continue to be excited about this development and the new offerings guests visiting Tokyo Disney Resort will enjoy. 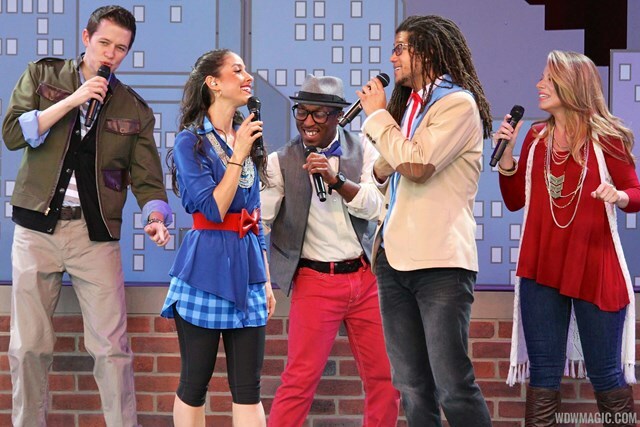 American Music Machine, a new 5 piece acapella vocal group has made its debut at Epcot’s American Adventure Pavilion. American Music Machine delivers an impressive range of pop hits from yesterday and today, all with no backing tracks and just pure vocal talent. The group performs at the America Gardens Theater. The group will typically be appearing Wednesdays through Sunday, with 20 minute showtimes of 11:45am, 12:30pm, 1:40pm, 2:20pm, 3:00pm and 3:45pm. Check the times guide since times do vary. Voices of Liberty will continue to perform their classic sets in the American Adventure rotunda Wednesday through Thursday, and their American Gardens Theater sets on Mondays and Tuesdays. American Music Machine is the latest new act to open after a large reshuffle of Epcot live entertainment. Fife and Drum Corp, Mo’Rockin, Off Kilter and World Showcase Players were all closed to make way for the new acts. In addition to American Music Machine, Epcot has recently seen the introduction of the Canadian Lumberjacks, Sbandieratori Di Sansepolcro, Paul McKenna Band, B’net Al Houwariyate, and the Mexican Marimba Trio. The Walt Disney Co. has purchased a hotel that sits directly across Harbor Boulevard from its two theme parks for $32 million, according to public records. Walt Disney Imagineering has recruited Martin Buehler, a well known expert in the field of advanced robotics. Buehler joins WDI at a critical time for Audio-Animatronics, as Disney looks to separate itself from the wider adoption of animated figures at other parks around the world. 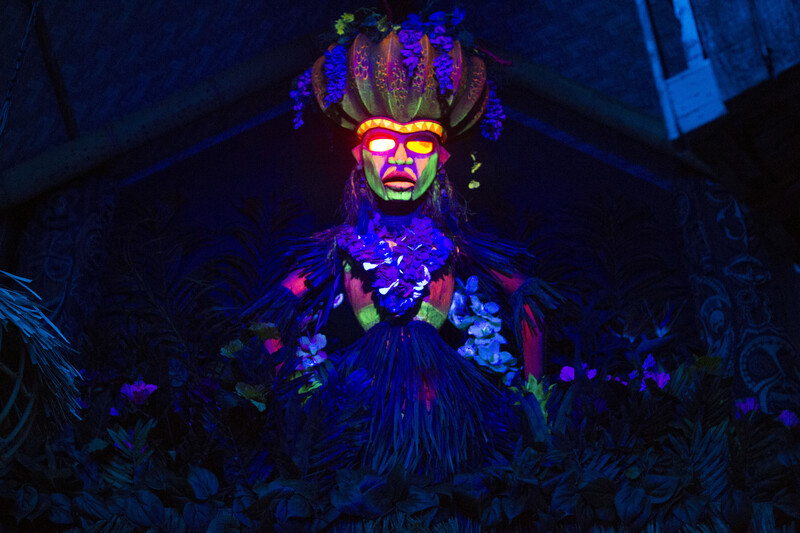 The upcoming AVATAR project at Disney’s Animal Kingdom is expected to debut some next generation Audio-Animatronic figures to bring the AVATAR story to life. 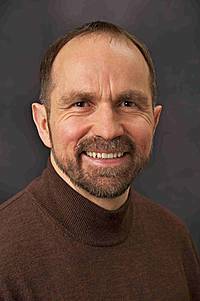 Martin will lead WDI R&D’s Advanced Robotics and will take on the role of executive R&D Imagineer. BigDog runs at 4 mph, climbs slopes up to 35 degrees, walks across rubble, climbs muddy hiking trails, walks in snow and water, and carries 340 lb load. Once again, runners in the Walt Disney World Marathon Weekend presented by Cigna have the exclusive opportunity to participate in the Disney Castaway Cay Challenge! Registration for these January 2016 events opened today, marking the second year that runners can extend their Marathon Weekend by setting sail aboard the Disney Dream and completing a 5K run through paradise on our private island, Castaway Cay. 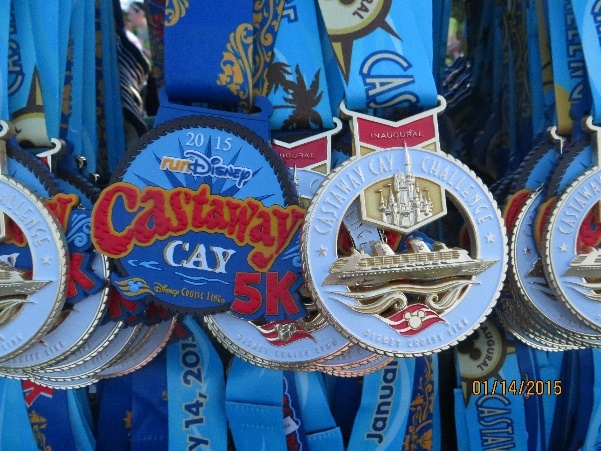 The Castaway Cay Challenge takes place on the January 11, 2016 Disney Dream sailing from Port Canaveral, Florida. Visit disneycruise.com to book your voyage, and then head to the registration page on runDisney.com to reserve your spot in the race. 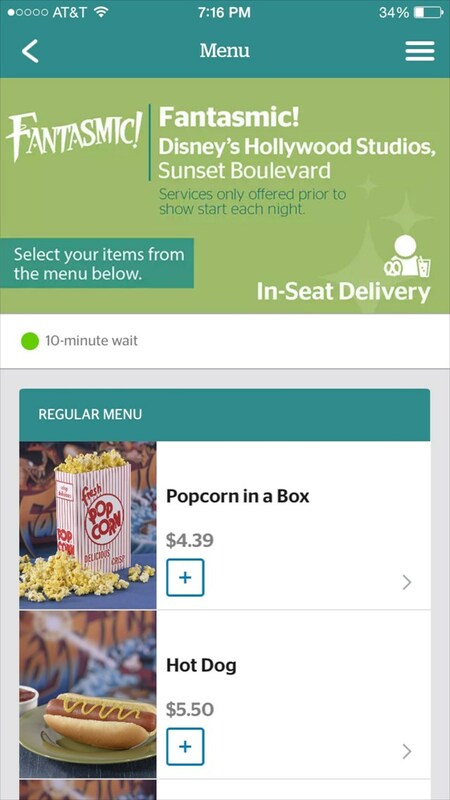 Disney’s Hollywood Studios Begins Testing of Mobile App Pre-Ordering at Restaurants and During Fantasmic! Disney’s Hollywood Studios has begun testing pre-ordering of food and merchandise using mobile apps at Backlot Express and during Fantasmic! Disney is hoping that this could dramatically reduce wait times for quick service food, the Studios test will use the guest’s phone as an ordering and delivery tracking device. The test at Backlot Express will comprise of two phases. 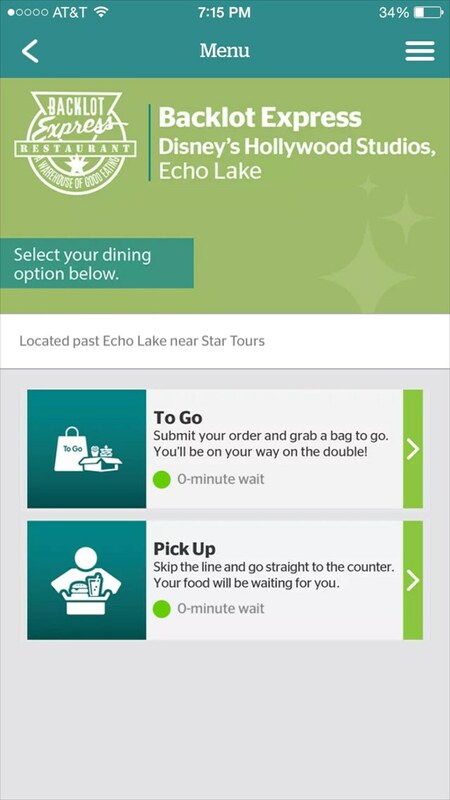 From April 28 to May 4, guests will be able to order from the app and pickup food at a counter on a tray for dine-in, or pickup in a to-go bag for take-out. From May 5 to May 12, guests will be able to have an order ready for pickup in a bag to take out, or have the order delivered to a table. At Fantasmic!, the test will take place from April 28th to May 12th, and guests will be able to order from a food and beverage menu, along with a range of some merchandise. The service will be available during the Fantasmic! pre-show and the first performance of the night only. The service is made possible with the ‘Express Order’ app from VenueNext, and requires Bluetooth and location services to be available on the phone. You can download the app from the App Store now on both iPhone and Android. In both cases, the order will be paid for at pickup or on delivery. Payment is via credit card or Apple Pay only. 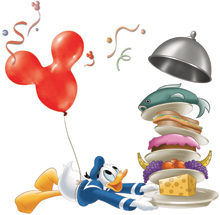 There is no cash option, or using Disney Dining Plan credits. Author RayPosted on April 29, 2015 Categories Walt Disney WorldTags Backlot Express, Disney's Hollywood Studios, Fantasmic, Walt Disney WorldLeave a comment on Disney’s Hollywood Studios Begins Testing of Mobile App Pre-Ordering at Restaurants and During Fantasmic! The collectible souvenir mugs are in at Trader Sam’s Grog Grotto at Disney’s Polynesian Village Resort, and the doors officially open today. 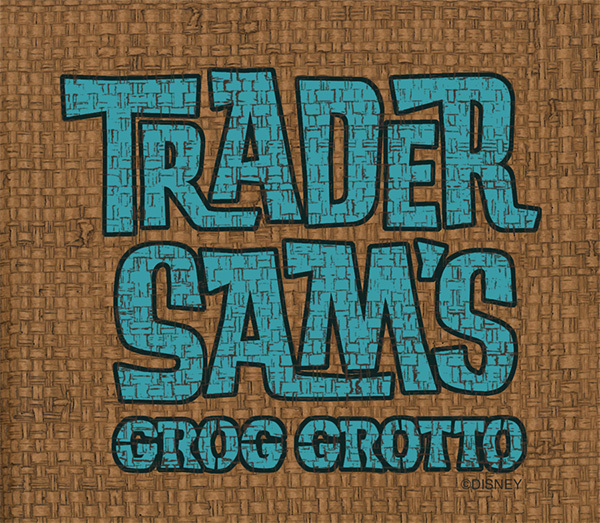 Those coveted cups include the Uh-Oa!, Krakatoa Punch, Nautilus, Polynesian Pearl, HippopotoMai-Tai, Rum Flight shot glasses in the three colors and the Shrunken Zombie Head – all available only at Trader Sam’s Grog Grotto. It’s a pretty popular spot, with waits some evenings up to two hours at peak times as guests ooh and ah over more than 1,200 pieces of memorabilia and have a good time with the staff. The handcrafted cocktails are delicious, and just order an Uh-Oa! and see what happens with the special effects. If you want a table and there’s a wait, Trader Sam’s Tiki Terrace is almost as cool as the lounge, with a lava rock waterfall and live Hawai’ian-themed entertainment every night with the gorgeous backdrop of Seven Seas Lagoon and a seat for the Magic Kingdom Park fireworks. Walt Disney Parks & Resorts recently won a VIBE VISTA Award in the category of “Best Spirits Program in Hotels.” The award represents “exemplary creativity, execution and results in an extremely competitive field,” as judged by the faculty at Johnson & Wales University. And Trader Sam’s helped land the prestigious award. New high-tech laundry machines are being implemented for guest use at most Walt Disney World Resort hotels. The new machines offer live reporting of availability via the internet, where guests will be able to view the status of each machine, and receive notifications of availability and when a cycle is completed. 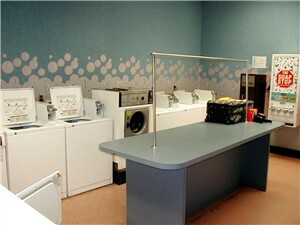 You can view the machine status at http://www.laundryview.com/disneyworld. Along with the internet connectivity, the new machines offer quicker cycles to reduce wash time and an increase in capacity for larger items. All locations will also now accept credit and debit cards in place of coins. Coin operation still continues at a limited number of locations at Disney’s All-Star Resorts, Disney’s Art of Animation Resort, Disney’s Caribbean Beach Resort, Disney’s Coronado Springs Resort, Disney’s Fort Wilderness Resort & Campground, Disney’s Grand Floridian Resort & Spa, Disney’s Polynesian Village Resort and Disney’s Pop Century Resort. Most resorts have already been upgraded, with the final locations expected to be completed by early May 2015. 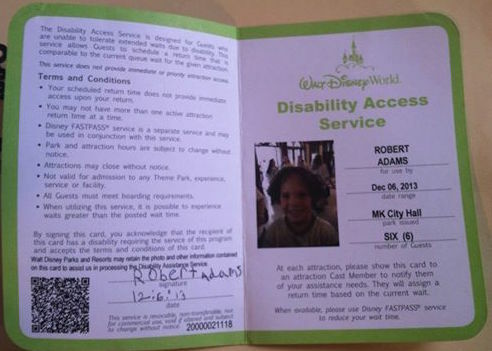 Walt Disney World’s Disability Access Service (DAS) program for visitors with autism and other medical issues will be going digital starting Thursday. Currently, guests who need the service receive a card that enables them to get return times for rides and shows. The times are hand-written on the cards. Starting Thursday, guests will have information stored on their MagicBands or tickets. Those will be scanned to verify that visitors qualify to get the return times. According to Disney there will be no other changes in the DAS process.